This page includes discussion and data for making thermal and other conversions. You can download an excel file that has a whole bunch of the conversions that I have collected over the years. To compute the LCOE of thermal you need to add the variable cost. The variable cost include the fuel cost and the O&M. I have collected a whole bunch of conversion factors that you can download. These are in various excel files below. In theory, the fuel charge covers the fuel cost. The fuel cost depends on the efficiency of the plant as well as the cost of fuel. 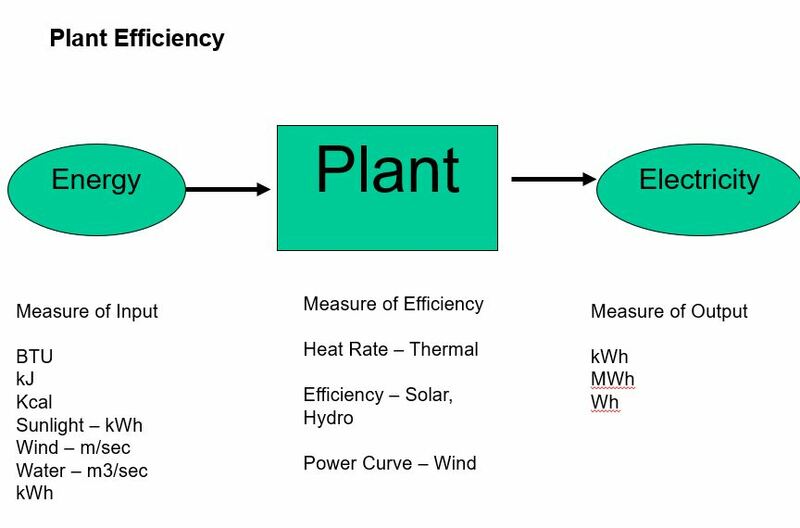 The efficiency of a plant is defined as the input of the plant that can be measured in BTU, kCal, kJ or kWh. The output of the plant is measured in kWh or MWh. 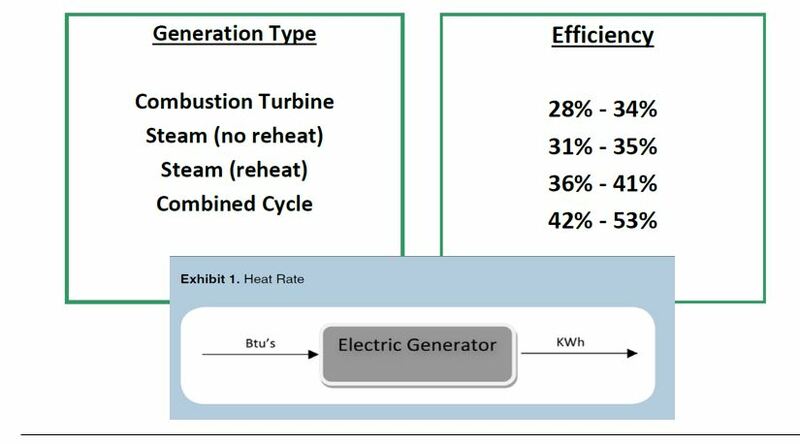 6800 kBTU/MWH or 6.8 MMBTU to make MWH or (6.8 MMBTU/MWH). Eg. NGCC heat rate is 6,400 btu/kwh. This is input/output.